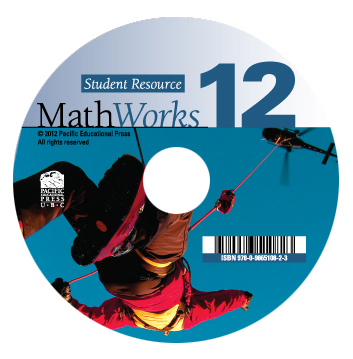 This CD contains the MathWorks 12 Student Resource in PDF and Flipbook formats with hyperlinks and searchable text. This CD is designed for individual use. A Digital Licence is available for schools wishing to share the Student Resource with more than one student.